At 1 Stop Insurance, we use our many years of insurance expertise to offer you the best product features at the best possible price. You deserve no less. 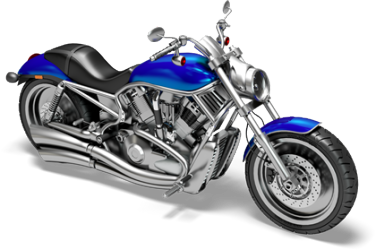 By understanding what is important to you about your motorcycle insurance we can tailor cover to suit. We can get you covered now. We are just a phone call away. We have a team of experts who can source specialist products at highly competitive premiums. Because we look at a range of insurers we can provide a range of premiums, excess and benefits rather than direct insurers who usually offer just one product. The ability to have a number of bikes all covered under one policy means simple administration and potentially a reduced premium. Why not let us investigate this option. We recognise what our clients want by way of cover and that is why we can include this with all our policies to give you peace of mind when you travel. Not only that but we can cover leathers, helmets, the works. Bespoke quotes for the more unusual risk such as trikes, quads etc. If you have an accident you can be sure you have the legal backing of our specialist cover to ensure that your rights are protected. Whether that be for recovery of an excess, a claim for a personal injury or damaged gear or loss of income. When you decide it is time for a “grand tour” then we can cater for that too with our comprehensive travel insurance. Contact us now – by phone, email, in writing or using our online chat facility. We look forward to discussing your needs and requirements.